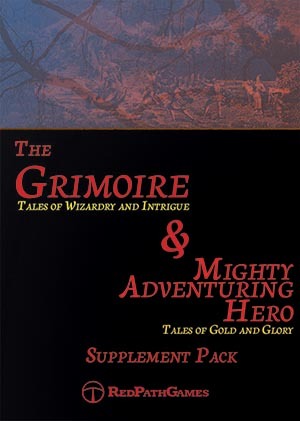 The Supplement Pack is a digitally-available package of files intended to help run games of Grimoire – Tales of Wizardry and Intrigue and Mighty Adventuring Hero – Tales of Gold and Glory. It contains several random character and utility generators in addition to an individual Supplement Pack PDF for each of the roleplaying games. These provide all printable sheets available in the books in a format that is intended to be easily printed, some helpful reference sheets for Game Masters and Players, as well as an example quest. The Supplement Pack is free-to-download and always will be. 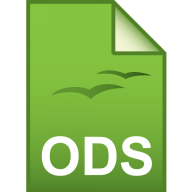 The Supplement Pack contains the following Random Generators in XLSX (Microsoft Excel) and ODS (Open Document) formats. They are heavily based on the same random generator tables located in the rulebooks. 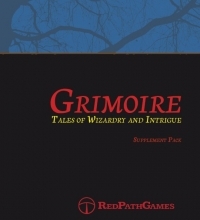 The Grimoire Wizard Generator is a customisable random character generator capable of producing all sorts of Wizards. It also includes optional cross-compatibility with Mighty Adventuring Hero. The generator is table-based and is easily modified to suit the preferences of your roleplaying group. The Academic Calendar Generator is an intelligent Calendar generator that produces four full calendar years of schooling schedules. It includes a random name and acronym generator for the Wizarding Institution, the sports played there during each season, and any festivals and holidays that occur. This generator provides a framework of activities and events to build your school-based adventures around. What’s a Wizard without their unique outfit, wand, and Wizardly Sports? Naked, wandless and indolent! Make sure your Wizard is being all they can be with the Wizardly Clothes, Wand and Sports generator! 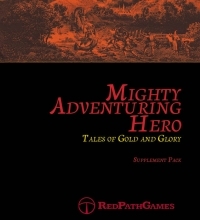 The Mighty Adventuring Hero Generator is a customisable random character generator capable of producing all sorts of Adventurers, the initial equipment they carry, and their dark and troubled pasts. The generator is table-based and is easily modified to suit the preferences of your roleplaying group. This sheet is used by the Master of Artifacts, if you’re playing with one, to record the results of their experiments. The Group Project Rating is handed out to each member of a ‘group project’, such as Wizard Graduates on a Quest, once they’ve returned so that blame can be properly assigned. This report may be used whenever the Wizards are working in an everyday capacity, such as attempting to run a quiet sea-side inn, or otherwise busy venue. 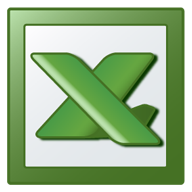 Policy infraction reports allow a Wizard to formally log violations of organisational policy, usually against each other. Used with the sea-side inn scenario, this report allows a Wizard to formally log any complaints or concerns the guests might mention—particularly those related to the actions of their competitors. Wonderful cut-out badges that will let you write the Wizard’s name and formal responsibility on them. Stick them to your shirt with some tape or a safety pin. More wonderful cut-out badges, each of them allowing a Wizard’s name to be proudly written across them. These badges inform everyone that you are a hotel manager, and therefore important. This is your Wizard’s character sheet, where you can write all their details down in one place. These cut-out templates are a spell-book on the go. Write your most commonly used phrases in here and use it when casting for a beneficial effect. These count as an equipment item for your Wizard, and they should be set aside or destroyed if the less-than-robust in-game equivalent is also lost. A short list of reminders to help the Game Master remember the game mechanics. This information is not necessary for the players, and is not the sort of thing that Wizards should be talking about. This sheet is used by Adventurers and Quest-Givers to make sure that all contractual obligations are met and that there’s no room for a lengthy legal dispute. This sheet is used to formalise the agreement between a Wizard and a group of Adventurers. The Adventuring Guild makes no secrets about how each of its local Adventurers measures up against the others. Each Adventurer’s Guild Rank has its own board to see how they match against Adventurers of similar repute. It fosters that wonderful sense of ambition and competitiveness that really defines a functional adventuring group. More wonderful cut-out badges, each of them allowing an Adventurer’s name to be proudly written across them, along with what makes them extra special. Now nobody has an excuse for not knowing who they’re talking to! This is your Adventurer’s Character Sheet, where you can write all their details down in one place. For use with Grimoire – Tales of Wizardry and Intrigue, this is your Adventuring Wizard’s character sheet, where you can write all their details down in one place. A short list of reminders to help the Game Master remember the game mechanics. A group of pre-generated Mighty Adventuring Heroes for quick use in any game. A short introductory quest for a group of up-and-coming Adventurers looking for some serious work to help make their names. Their quest is to investigate and resolve a werewolf outbreak.